Dr. Travis Johnson (right), interim director of the Asheville MPH program, poses with Drs. Ameena Batada (left) and Amy Lanou, consultants and instructors in the program. The residential program employs a hybrid format that combines online tools with weekly face-to-face classes, held at UNC Asheville and the Mountain Area Health Education Center (MAHEC). The degree’s format enables working professionals to hone their public health leadership skills with Gillings School and UNC Asheville faculty members and community health practitioners. One of the drivers of the program is Jeff Heck, MD, chief executive officer of MAHEC. 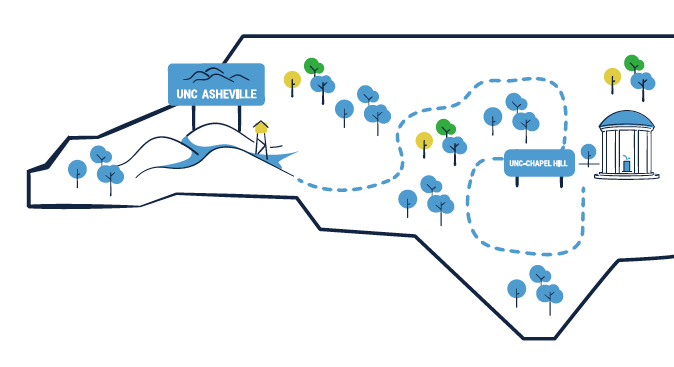 A health innovator who brought a satellite program of UNC-Chapel Hill’s School of Medicine to Asheville, Heck spearheaded a campaign to open a UNC Health Sciences Campus to improve health in the western part of the state. Heck also notes that to succeed in value-based care, providers must develop an innovative, interdisciplinary and community-based focus. “Gillings School leaders will help train the current and future workforce to address the social determinants of health – for example, housing, transportation and child care – which have profound impact upon health care outcomes,” he says. Johnson, who also is an attending physician at MAHEC and affiliate professor at UNC Asheville, says he and other program planners were inspired by the Gillings School’s mission – to improve public health, promote individual well-being and eliminate health inequities across North Carolina and around the world – and by the School’s philosophy of “local is global,” the notion that the same principles promote health equity in western North Carolina as in rural areas of other countries. Johnson notes three particularly exciting elements of the collaboration – a place-based approach, practicality and potential impact. 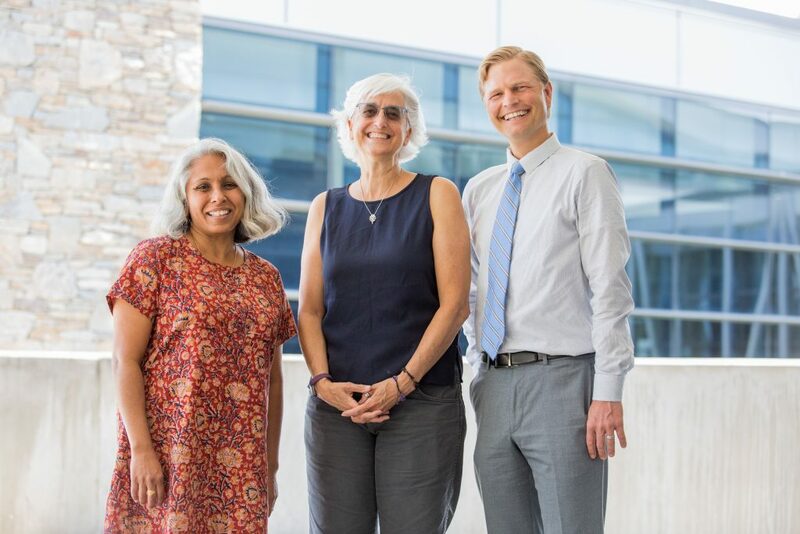 Two leading consultants for the program are Amy Lanou, PhD, professor and chair, and Ameena Batada, DrPH, associate professor, both in UNC Asheville’s Department of Health and Wellness. Lanou also serves as executive director of the North Carolina Center for Health and Wellness. Batada also teaches this fall’s Methods and Measures course in the MPH program. Batada says she knows many students and alumni of UNC Asheville’s health and wellness program will be interested in the Asheville-based MPH program. “Like many other health professionals working in the Mission Health hospital system and other organizations, our students and alumni see the value of understanding public health issues, data analytics, and community health program planning and evaluation,” she says. Lanou, who will teach Nutrition Policy, says it has been rewarding to work with MAHEC and the Gillings School. Sarah Thach, MPH, a Gillings School health behavior alumna, is MAHEC’s interim associate director for community partnerships. In that role, she develops practicum opportunities for the new MPH students.